This year at Summit18 we honor Charlie Slaven as this year’s Lifetime Achievement Award recipient. It is the distinct pleasure of the PMI Southwest Ohio Chapter to recognizes Charlie’s many years of hard work and dedication at the conference on March 22 and March 23, 2018. On behalf of our chapter leadership team, we congratulate and thank him for his continuous service and leadership over the years. Charlie has maintained an active role within the Chapter since 1997 and as a Chapter leader since 2001, more than 20 years’ commitment to the Chapter and the profession. Highlights of his contributions only scratch the surface: Chapter President, VP of Certification and Standards for 6 years, instructor of PMP, CAPM and PgMP Exam Prep for four years, in addition to participating in the creation/revision of test prep materials over many cycles and overseeing our strategic alignment process. Charlie facilitated at both monthly learning events and our annual conferences, contributed to our training classes, played a crucial role in past conference planning committees, took on multiple leadership roles on the board, and much more. The Chapter would not be what it is today without Charlie Slaven. Charlie will be recognized and receive the award at this year’s conference at the Mason Manor House during March 22-23, 2018. In addition to the award, a $1,000 college scholarship will be awarded to a Deer Park High School Project Management Academy student in Charlie's name. Charlie Slaven is a Professor of Practice, Department of Business Informatics, Northern Kentucky University. As such, he teaches in the areas of project management (traditional, agile and other advanced topics), business analysis, organizational change, process engineering, IT and marketing strategy, leadership, and integrated IT processes. He also leads the Department with external relationship building, corporate workshops, corporate, executive and professional education and training. Previously he was the Director, Catapult Staffing and Solutions Group. He performed consulting through Catapult for the Great American Insurance Companies, American Financial Corporation where he was the Lean Leader Course designer and lead instructor, mentor and coach. Professor Slaven is a Project Management Professional with a long history in information technology, project management, lean six sigma process improvement and design, and quality management systems. Previously, he was the Director, Lean and Continuous Improvement, The Christ Hospital Health Network. Just prior to that role, Charlie was a Lean Six Sigma Master Black Belt and Master Process Improvement Engineer with The Kroger Company, there he taught wrote curricula and taught Lean Six Sigma to those in Retail, distribution, and Manufacturing. There he mentored and coached a few hundred project leaders. He also led, supported or co-led many projects including the organizational transformation of Human Resources. Over his career, He has had many experiences to draw upon including ownership roles in three consulting and training organizations, being the General Manager, Quality for an international software company, having the responsibilities with GE Aviation for many information technology leadership roles and he started his career in public accounting with roles in audit and consulting. Charlie has conducted, developed and delivered consulting and training courses on various topics: Lean Six Sigma, ISO 9000, SEI CMMI, project management, contact center excellence, strategic planning; software measurement, development methodologies, quality assurance, testing, and requirements engineering and quality management systems, leadership, and creating high performance teams. He is a frequent speaker and enjoys a widely shared expert status reputation. Charlie has accomplished this work with many public and private organizations throughout the U.S., U.K., Europe, Australia, Canada, SE Asia, South Africa, South America and Japan in varied industries and governmental organizations. He has managed and led many quality management system and business process engineering projects and programs, and software development, enhancement and support projects; contact center assessments, management system implementations, computer audit engagements and computer based turnkey solution projects. He has taught for three Universities. Charlie’s formal education includes an MBA, Accountancy, and a Bachelor of Science, Business Administration, Finance, from Miami University, Oxford, Ohio. 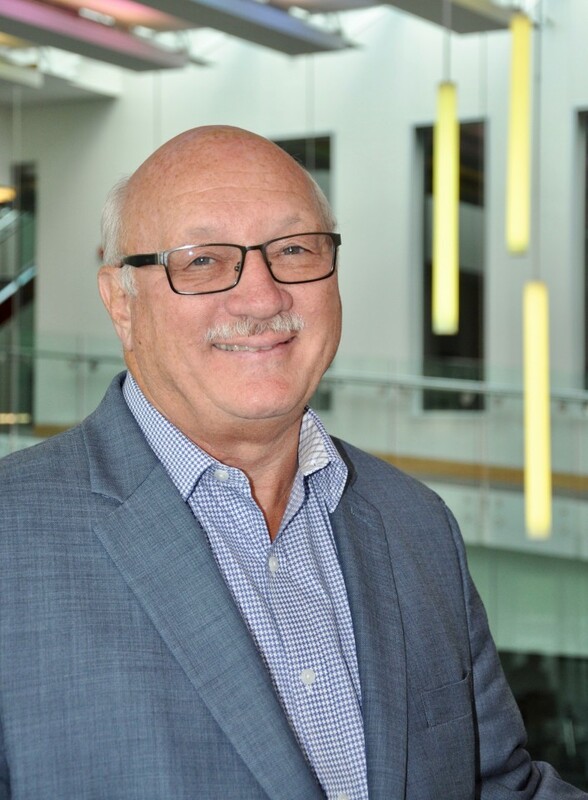 He has held many professional organization leadership positions and including the role of President for the Southwest Ohio Chapter of the Project Management Institute. Charlie is a lifelong learner and most recently he has obtained various SAFe credentials. Along his journey of continual improvement, he was certified as a CMA, CPA, CQA, ISO 9001-3 Assessor, COPC Assessor, CSQE, and TMAP trainer, ITIL Foundations Certified Professional, CDP, CQM, Scrum Master, CSSBB, CSSMBB, Function Point Trainer / Coach, Prince2 Foundations Project Manager, SAFe 4.0 Agelist, SAFe 4.0 Practitioner, Prince2 Practitioner and Certified Change Management Professional. Mr. Slaven specializes in improving workplace excellence and building the next generation of leaders. He is driven to help people work better together in high performance teams, create organizations that adapt and become faster, more profitable, and more capable as they build better products, provide better services and serve customers with excellence. On a personal basis, Charlie is married with 3 married and successful children who have given him 7 grandchildren. His wife is a high school teacher of business and technology. Charlie enjoys reading, travel, golf, his beach home and watching his grandchildren in their varied activities. Kent Crawford is the founder and co-CEO of PM Solutions, the leader in applying project and portfolio management processes to drive operational efficiency. He is also founder of the firm’s training subsidiary, PM College. In addition to his executive role, he is an influential member of the project management community, highly respected as a thought leader. He is a sought-after speaker at business conferences worldwide and the award-winning author of The Strategic Project Office. Crawford also led PM Solutions in establishing the annual PMO of the Year Award (now led by the Project Management Institute), developing the first project manager competency assessment instrument, and creating one of the first project management maturity models. These innovations not only serve the project management community at large, but are incorporated into PM Solutions consulting and training practices to ensure that clients receive services in tune with the latest developments in the marketplace. Crawford is a popular, dynamic speaker whose keynotes have enlightened audiences worldwide. As an advocate of the profession, he is passionate about project management, with a focus on its business value. In addition to authoring The Strategic Project Office: A Guide to Improving Organizational Performance (which received the David I. Cleland Project Management Literature Award from the Project Management Institute), Crawford is the author of Project Management Maturity Model: Providing a Proven Path to Project Management Excellence, Project Management Roles & Responsibilities (all now in their second editions), Optimizing Human Capital with a Strategic Project Office, and Seven Steps to Strategy Execution. His book, An Inside Look at High-Performing PMOs, showcases performance measurement best practices from the world’s most successful project management offices. Crawford is a founding officer of PMI’s Southwest Ohio Chapter and assisted its growth to one of the fastest growing and most innovative PMI chapters of the time. During 1992, 1993, and 1994, the Southwest Ohio Chapter earned the PMI Chapter Award for Sustained Superior Performance. The Southwest Ohio Chapter was privileged to have the most certified Project Management Professionals of any PMI Chapter during this time. In 1992, he was selected as PMI’s Outstanding Chapter President of the Year. 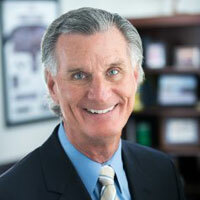 Crawford is former President and Chair of the Project Management Institute (PMI®). During his tenure in office, he implemented innovative programs that resulted in an astounding fifty percent membership growth for the Institute. His leadership in PMI has been widely recognized as a primary driver in PMI's subsequent success. He has also been honored with the PMI Fellow Award, PMI's highest and most prestigious individual award. Mr. Crawford is also a Fellow of the Project Management Association of India. As a former leader of the Project Management Institute, an accomplished speaker and educator, and experienced practitioner, Hugh Woodward is uniquely qualified to describe the evolution of project management and explore contemporary trends. Hugh has played a leadership role in PMI since 1993, serving two consecutive terms as Chair in 2000 and 2001, and almost six years as a member of PMI’s Board of Directors. He was President of the Southwest Ohio Chapter from 1993 to 1995, and served as a member of the PMI Educational Foundation’s Board of Directors for nine years. Hugh has a Bachelor of Engineering from the University of Tasmania, a Master of Science in Civil Engineering from Lehigh University, and a Master of Business Administration from the University of Scranton. He was certified as a Project Management Professional in March 1992 and appointed a PMI Fellow in September 2005.